You may be a candidate for BOTOX® if you would like to treat facial wrinkles in the forehead, between the eyes, and in the “crow’s feet” areas around your eyes. BOTOX works by weakening the muscles that cause facial expressions. Once the treated muscles are weakened, the pull of the muscle relaxes and the skin flattens. As of 2016, we price Botox by the unit, so you know you’re getting exactly what you pay for. Our cost for BOTOX is $13 per unit. 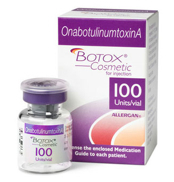 Keep in mind that there are always rebates and discounts available from Allergan, the maker of Botox. For example if Botox was $13.00 per unit and the area of concern will take 10 units to correct then 10 per unit X $13.00 = $130.00 cost for the area to be treated. Most Botox providers charge between $10-16 per unit of Botox with the average being about $13 per unit. Although the results are visible with a smoother surface, Botox® treatment does not radically change your facial appearance. You are able to show facial expression. Without knowing or seeing the activity of your facial expression muscles, botox will not change your facial expression over time. However there are many different techniques of botox administration and there are areas where botox should be avoided in some patients. For example, women with many transverse forehead lines and with low brows. The use of Botox would not make you get new wrinkles or change facial expression. But we have seen patients that as a result of no being able to move certain muscles have learned to use others. The areas treated with Botox are areas that are muscle and facial expression driven--these are for the most part, learned behaviors. Patients who have received Botox can, to some degree, learn new behaviors as well. If the area we treat becomes smooth, or significantly better, the patient may notice the lines that remain and may have always been present. The muscles treated with botox have should returned to normal activity after about six month and it should function as it always had. Many people ask us how botox affect the reading of and interpretation of facial expressions. Botox, to some degree, limits a person's ability to make full facial expressions. This affects how they feel their own emotions and how empathetic they are with others. Eric Finzi argues in his book, How Botox Affects Our Moods and Relationships that numbing our expressions, numbs our emotions. This is for both "good" and "bad" emotions. He found that botox to frown or sadness lines brings relief to depressed patients. But he also argues that botox to happiness wrinkles lessens feelings of happiness. When you can't express the emotion, you may feel it less. According to the research by David Neal and Tanya Chartrand, people who have received Botox shots and are physically not able to copy the face of the person they are speaking with, have trouble feeling empathy for them. This is based on "embodied cognition," which is when someone unconsciously mimics the person they are speaking with by copying their facial expression. When this happens, a signal is generated in the listeners brain that helps them understand the other person's emotional intent. 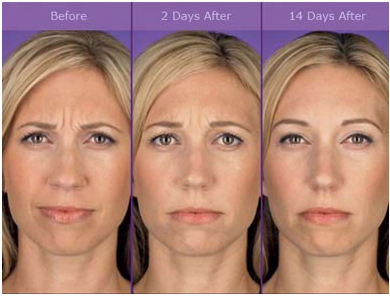 Women who received Botox had a much harder time identifying facial expressions from pictures. The researchers argue this is because they could not make the face. More importantly, this makes it difficult to feel empathy for the people you are speaking with. The decision to get botox is more than a cosmetic choice. It is, to a small degree, an emotional choice. When thinking about botox we have to address some of the emotional repercussions of numbing both our face and our feelings.